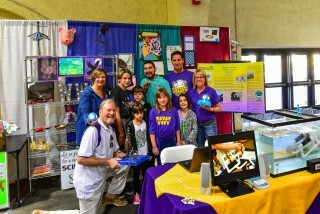 Dozens of vendors and schools showcased STEAM innovations at last weekend's STEAM Maker Fest in Del Mar. Warren-Walker School was well represented in a colorful booth with interactive robotics, a SeaPerch display, artwork, and more. Thank you to all who attended to show support of our STEAM program.